Where can i buy flowers online in Riga with delivery to another city in Latvia? 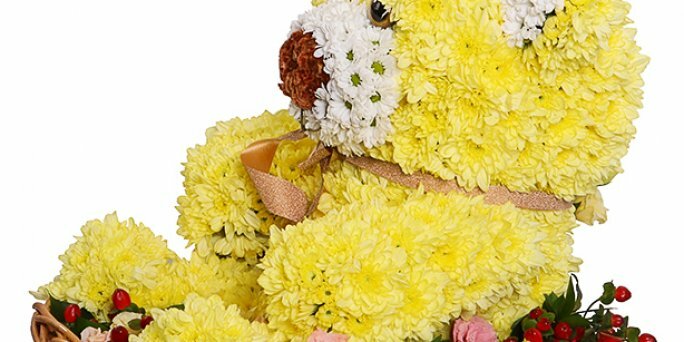 ❶ Where can i buy flowers online in Riga with delivery to another city in Latvia? Where can i buy flowers online? The flower shop is closer than you can imagine. Online-studio KROKUS is glad to welcome you on its official website! Here you can buy flowers online, without even leaving your home. Original bouquets and arrangements at favorable prices are already waiting for you in our online shop. Buy fresh flowers online to make a wonderful gift for your closest and loved on any holiday. You can make an order by using our online service or by calling KROKUS operator on +371 200 303 06. Where can i buy flowers online in Riga (Latvia)? Modern technologies help us to solve easily many everyday problems. Today buying clothes, computers, smartphones, household appliances and even food in online shop is no longer unusual. The order of flowers is not an exception in this matter. Indeed, why waste time shopping and choose a bouquet from the presented assortment for a long time? It is much easier to find a suitable arrangement in the Internet, even without leaving your home. However, many customers from Riga and other Latvian cities are interested in the question: "Where can i buy flowers online?" The online shop KROKUS is glad to welcome visitors on its official website. For customers from all over the world our company offers a service for the delivery of bouquets and arrangements of the highest quality. Therefore, if you decide to congratulate a close acquaintance, a friend, a relative from Riga or another city of Latvia on a holiday, you can buy flowers online in our online shop. When searching for such a gift as a bouquet of flowers, first of all the consumers pay attention to its cost. Indeed today it is quite difficult to find a quality arrangement at an adequate price in the market or in a flower stall. However, you will undoubtedly find what you have been looking for by contacting KROKUS. First, a flexible pricing policy is an important advantage of our company in comparison with our competitors. We do not impose on our customers the purchase of a bouquet of a certain size. Here you can choose yourself the size of any of the presented arrangements: from compact to large. In addition, during the online purchase, you can simply indicate the sum that you are willing to spend on flowers, and our florists will compose the arrangement according to the planned budget. Secondly, in our catalog there is a section "By price", visiting which you can choose one of the price categories and to find the composition that is suitable for you. This greatly shortens the time to find the optimal bouquet and will allow you to save money on buying flowers. Why KROKUS is the best place to buy flowers online in Riga (Latvia)? To buy fresh flowers online with delivery in Riga or in any part of Latvia, simply call the manager of KROKUS at the specified phone or use the convenient form of ordering the goods on our website.